Climate change is a real and pressing issue affecting the Sahel and Maghreb regions of North and West Africa today. Weather pattern changes are causing desertification and prolonged drought in these regions. The Gulf of Guinea experienced an increase in water temperatures over recent decades, shifting rainclouds in the Sahel farther south. Consequently, between 1996 and 2006, Algeria lost 13,000 km2 of its land to desertification, while Nigeria lost 3,500 km2. 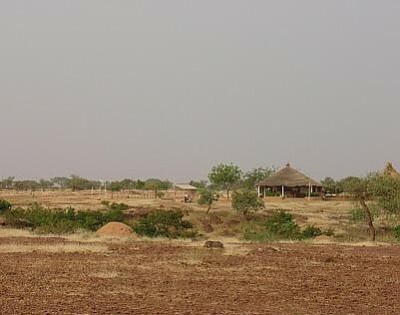 While a characteristic of the Sahel region is variable precipitation, in the second half of the 20th century, the region has experienced a dramatic decrease in average rainfall, as much as a 50% reduction. In addition, droughts occur now in two out of five years, which causes harvests to be highly uncertain. Detrimental effects from climate change further exacerbate the growing strife and instability of the region, acting as a “threat multiplier.” These effects include increased water scarcity, lack of food security, and increased desertification. These may significantly increase instability in weak or failing states by overstretching governments’ capacities. Over the next twenty to thirty years, these conditions will fuel the growing threat of Islamic radicalization in the Sahel and Maghreb areas of Africa. This will constitute one of the most important dangers posed to both American and global security. For example, sectarian violence today ravages Nigeria as Boko Haram – a localized jihadist group – threatens the country by seeking to overthrow the elected government and implementing Shari’a law nationwide. Colonel Sambo Dasuki, an advisor to Nigerian President Goodluck Jonathan, blames Boko Haram’s activities on climate change because of lack of employment opportunities. Dr. Soji Adelaja of Michigan State University echoes Dasuki’s point, commenting that rising sea levels in the Niger Delta and desert expansion in northern Nigeria forced young workers out of traditional occupations. The disruption to individuals’ livelihoods because of drought and famine leads some to join terrorist groups to alleviate the hardships faced from unemployment. Following recent regional unrest, this area now presents a unique opportunity to address these security threats. From the overthrow of Malian President Amadou Toumani in March 2012 to the capture of foreign workers in Algeria in early 2013, the region is a powder keg with a volatile mix of Islamic extremists and worsening environmental conditions. Al Qaeda in the Islamic Maghreb (AQIM) operates deep within the Sahara Desert and has flourished amidst the growing political and economic instability of the region. Intelligence officials estimate that AQIM raised upwards of $100 million in recent years from drug trafficking and kidnappings. Using this funding, AQIM conducted over 900 bombings that caused over 7,500 casualties throughout the Maghreb since September 11, 2001. Inaction from the United States directly threatens American security as likelihood for both terrorist attacks and possible American intervention increases. 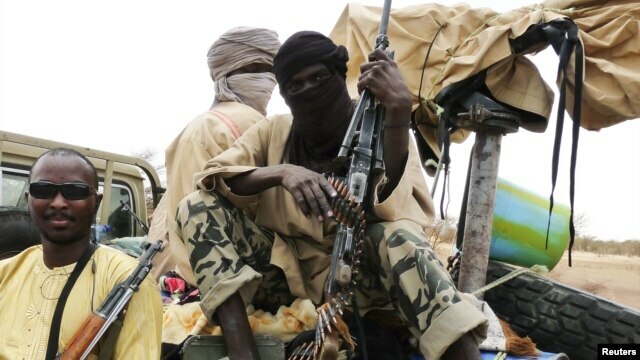 In order to combat this growing threat from North and West Africa, the United States should implement a multifaceted approach to address both the terrorist and climate aspects of the region. First, the United States should encourage countries in the discussed region to include climate change in their respective national security strategies. According to The Global Security Defense Index, the majority of national security strategies of countries in the region do not define climate change as a threat. By doing so, it will increase regional awareness to the link between stability and security and the risks posed by climate change. In addition, the United States should incorporate agencies such as NASA and the National Oceanic and Atmospheric Administration (NOAA) into the discussion of security strategy. These organizations can use their resources to help address specific climate-related issues regarding the Maghreb and Sahel. Second, the United States should invest in development programs that specifically target and moderate the consequences of climate change, such as agricultural productivity reform. Colonel Dasuki highlighted high youth unemployment in Nigeria as a source of increasing terrorism since other employment alternatives dried up. Finally, in order to address the growing terrorist presence in the region, the American government should remain engaged in the Sahel and Maghreb by promoting counterterrorism operations as well as preventing AQIM and Boko Haram from targeting vulnerable populations. The United States remains in position to provide military and logistical support to European militaries actively involved, like the French in Mali. Furthermore, American policies should encourage local community leaders to combat the pressure to join terrorist organizations. By emphasizing the importance of climate change in national security dialogues, investing in development programs, and engaging in counterterrorism operations, the United States will be able to mitigate the threat posed by increased terrorism in the Maghreb and Sahel.